Could Artificial Intelligence Replace Project Managers? A new report by the McKinsey Global Institute has predicted the loss off 800 million jobs worldwide by 2030 as a result of increased automation and artificial intelligence (AI), system usage. And it’s not just the labour intensive jobs at risk, with an Oxford University Study suggesting that many of the jobs lost to robotics and AI over the next two decades will in-fact come from the ‘highly skilled’ portion of the global workforce – jobs which non-coincidentally happen to be largely IT intensive. Although no exact figure for the probability of ‘Project Managers’ being replaced by robots within the next two decades could not be found, Carl Frey and Michael Osborne’s Oxford Study does mention the likelihood of another high level IT reliant occupation becoming defunct – that of accountants and auditors. And it’s not good reading. According to the above, there is a 94% chance that the vast majority of auditors and accountants will be replaced by a robotic workforce/advanced computing logarithm within the next twenty years. Other professionals at risk of experiencing firsthand a robotic jobpocalypse include: Insurance underwriters (99% prob), surveying and mapping technicians (96% prob), and general office clerks (96% prob). Whilst Rocket scientists seems to be relatively safe for now, their Nuclear Technician counterparts are not, with a 85% job loss probability forecast. With so many highly skilled individuals at risk, we’ve compiled a list of the top 3 reasons that could result in Project Management professionals losing their jobs to robotic AI. Could Project Managers become a thing of the past? The task of a Project Manager is a complex one, often involving the individual monitoring of many small projects running in tandem. Those smaller sub-projects (often individual contractors and procurement processes) will feed into the project manager’s choice of central data application – be it Oracle Primavera P6 / P6 PPM /P6 EPPM/ P6 OPPM, or some of the many alternatives. In a process involving the daily influx of large amounts of data, it places a great demand on the Project Management professional to correctly analyse, interpret, and organise the incoming information. As a result, it is not usual for Project Managers to make mistakes in their data handling – which often contributes to errors further down the line – many of which can result in significant cost increase and delay. Simply put, a robotic entity, or AI system, would not make these mistakes as all the data processing tasks would be automatically interpreted and handled by advanced algorithms greatly reducing any chance of costly error. Of course, an AI project management and scheduling system would likely be far more efficient than it’s human counterpart, being able to quickly and automatically raise flags with regards to budget conflicts or inefficient project progress, assigning and redistributing tasks and capital based on automatically calculated efficiency outcomes. Always on – computer algorithms constantly analyse incoming data. AI systems live in the cloud, and short of system outage are operating constantly, able to continuously monitor and oversee incoming data updates from around the globe. An ‘always on’ system will also be able to more efficiently handle and react to incoming information from different time zones – something a traditional Project Manager would not be able to do. This would allow an AI system to handle projects proactively as opposed to reactively – as is often the case in usual project management. 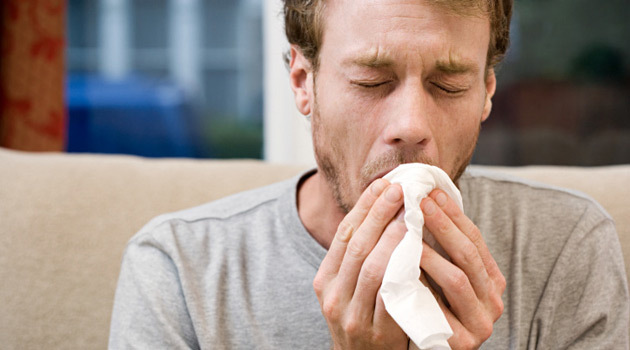 Sick days cost employers billions even year. Sickness absence totalled 137 million working days in 2017 – equivalent to 4.3 days per worker. This cost the UK economy a projected £18 billion in lost productivity. Sick days in less specialised industries often only require other staff picking up the slack to compensate for the absence of their colleagues. The role of Project Manager, however, is a specialised one – often working alone or in small teams. Therefore any sick leave often has a considerable impact on project monitoring and direction for the duration of the absence. The absence of a project manager responsible for running capital intensive tasks can pose moderate risk to the overall health of the project. An ever-present AI system would not be bound by these issues, and would not require payed holiday leave. The initial cost of installing and configuring the system, however, would likely be very expensive in comparison to normal wages, but would be recouped in coming years. Taking into account the quantity of ‘The Internet of Things’ classified devices (physical devices embedded with electronics able to exchange data) increasing 31% year on year to 8.4 Billion in 2017 (more than the 7.6 Billion humans on earth), and with the global market value of IoT devices set to exceed $7.1 trillion by 2020, it is without a doubt that many traditional workers will find themselves usurped by AI within the next two decades. Whether or not Protect Management will be one of these remains to be seen. For any Oracle Primavera Software Licences or Support needs, or to discuss your requirements, please contact our team of experts.